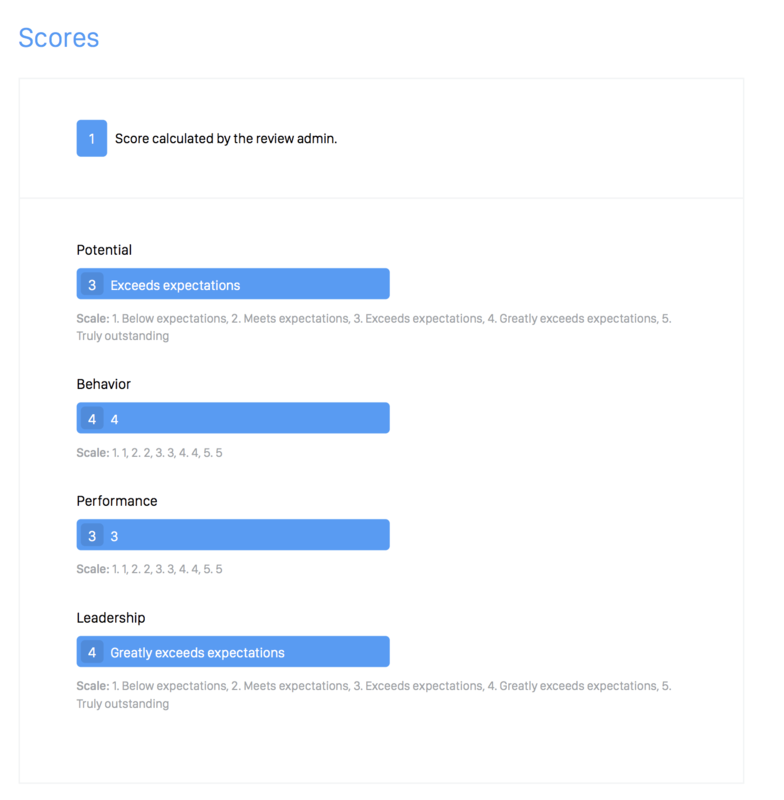 If in the Scores section of the review cycle set up, you enable Scored Attributes and/or Weighted Score, then in the Deliverables section you will be able to decide exactly which score the employee see. 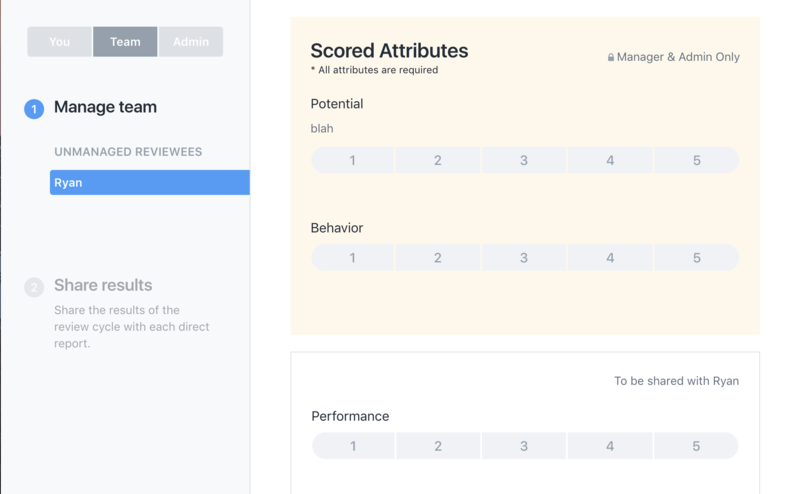 You will be able to pick exactly which attribute are shown to the employee. 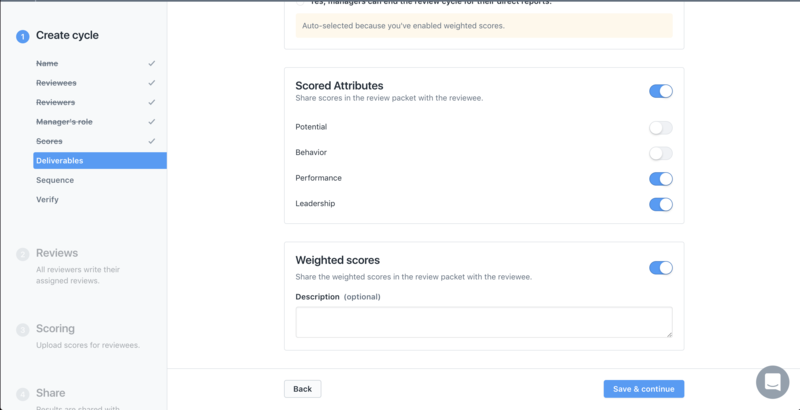 If you do not include an attribute in the packet, it will only be seen be the manager filling the scores out and the admin. *Note: If you have a complete calibration for a reviewee, only the calibrated scores will be shown to the employee. If calibration is not completed, the manager score will be shown. 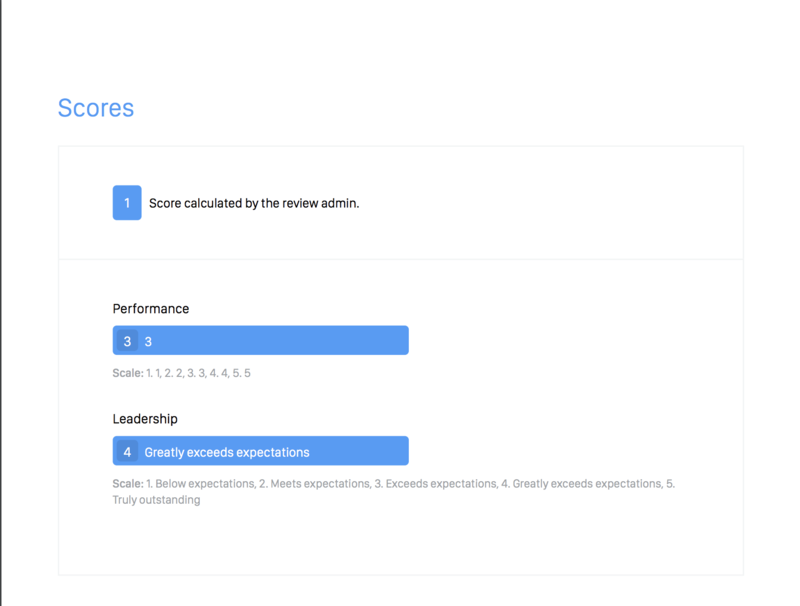 If you would like to show employees their weighted score in their review packet, simply turn on the toggle in the Deliverables section of the review cycle set up. If turned on, you will be able to fill out an optional description field. 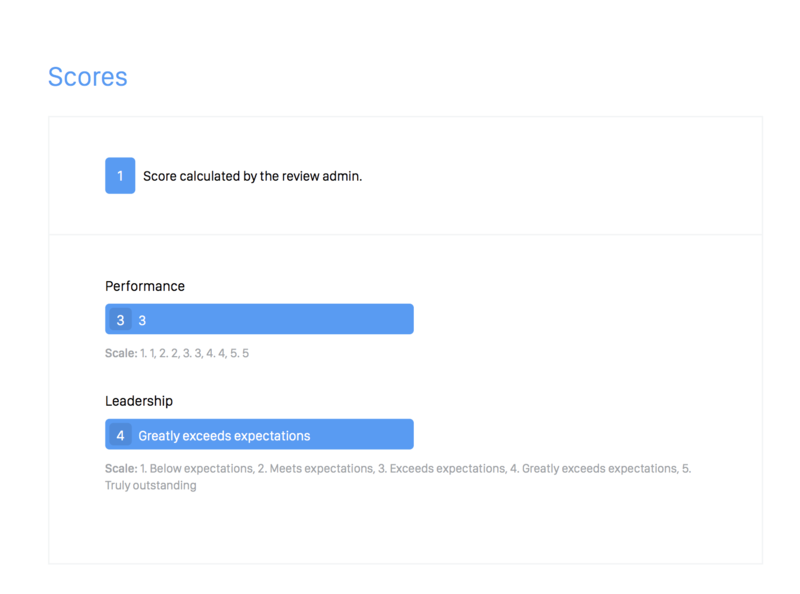 This field can be used to let your employees know how the score was calculated.